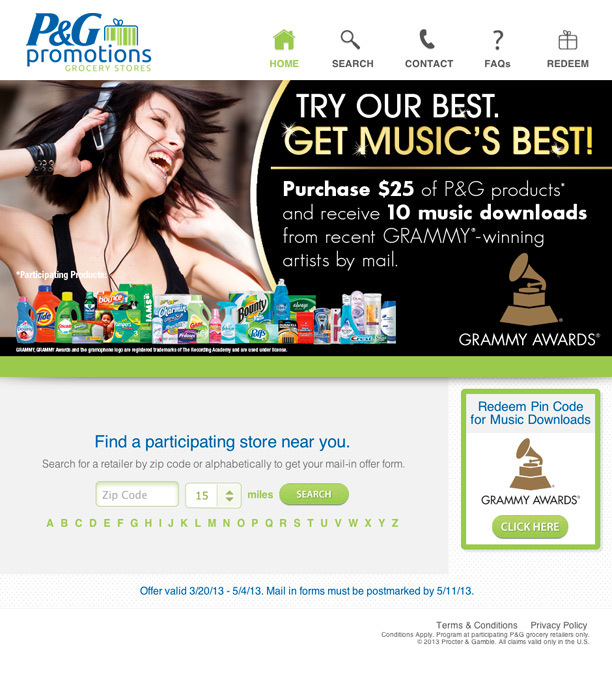 Shoppers who purchase $25.00 or more of P&G products in one transaction have the opportunity to receive 10 Music tracks from their favorite Universal Music artists. Shoppers make the purchase of P&G items at national grocery stores. They then can MMS, email or Upload their cash register receipt showing their purchases for DRVS validation. 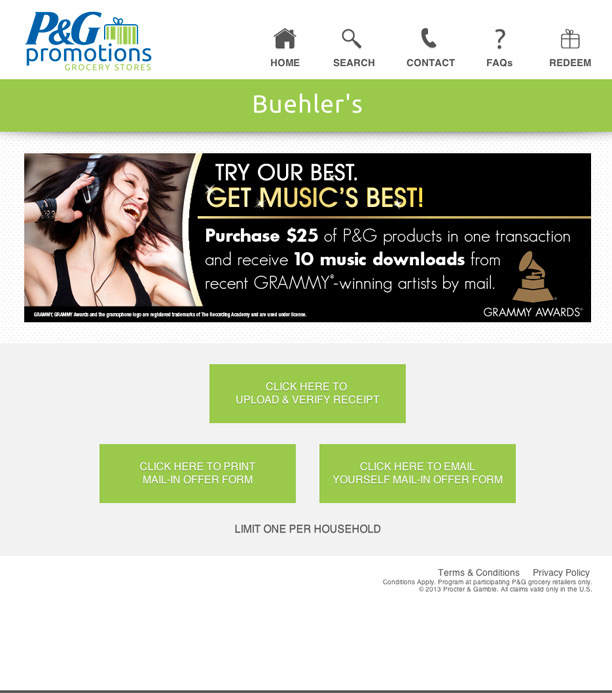 Upon validation, TPG issues the music reward to the consumer. © Copyright TPG Rewards Inc., 2018. All Rights Reserved.